What we experience and learn during the day is solidified when we sleep. 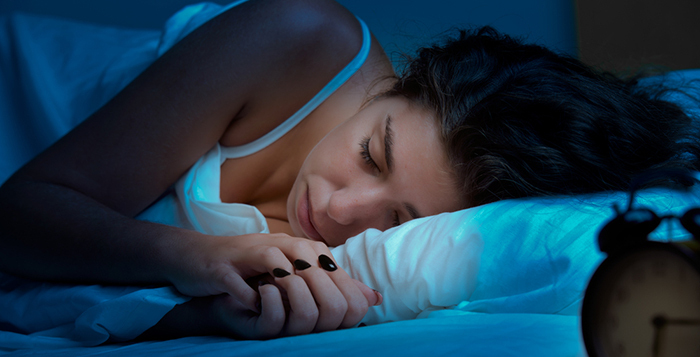 If your nutrition and exercise are on point but you still don’t feel or look the way you want, poor sleep may be the culprit. Let’s get into how we can make rest a daily priority. As odd as it may seem, your path to great sleep starts first thing in the morning. You will feel better and more alert if you wake from a light sleep stage. If you feel groggy, try using a device or app that senses sleep cycles and wakes you at the best time. Movement can speed the waking process, whereas hitting the snooze button does the opposite. When it’s time to wake, sit up, put your feet on the floor, and get moving! Consuming caffeine after 2 p.m. and/or having more than 1-2 drinks in the evening can prevent deep sleep. Regular exercise helps normalize your body’s 24-hour clock, regulate your fight-or-flight system and optimize your hormone levels. Too much food can make it harder to fall asleep. A blend of minimally processed proteins, fats, and slow-digesting carbs can keep you satisfied until morning and make you feel sleepy. Whatever thoughts are in your head, get them out and onto paper. This prepares for you for genuine relaxation. Most people need at least seven hours of sleep a night. Even adding 30 minutes can make a big difference. Turn Off Electronics: Stay away from all electronic devices at least 30 minutes before bed. Artificial light interferes with our production of melatonin, which insures deep sleep and helps regulate metabolism. Unwind: Reading, meditation and gentle movement (stretching, yoga, walking) can release tension and activate relaxation chemicals. Be Cool: Most people sleep better when it’s cool (around 67° F). Darken Your Room: To maximize melatonin production, cover your windows and make sure your phone is face-down. Use a motion-sensitive or dim light to illuminate mid-sleep bathroom trips. 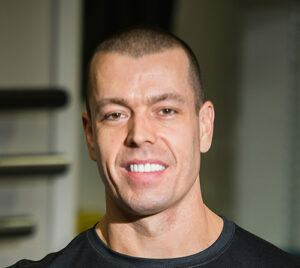 Aaron Gilbert, CSC, is the owner of Longevity Athletics.